In modern times, almost everybody owns a cell phone, but it may not necessarily be iPhone. iPhone users are nagged by multiple errors while playing and sharing iPhone videos from iPhone to other devices such as PC, Mac, etc. as well as watching DSLR camera, GoPro, DJI, etc. on iPhone or iPad. •	Failure of playing MKV, AAC, FLV videos, etc. on iPhone because of the format issue. •	Inability to play 4K 60PFS iPhone videos smoothly on VLC and other video players. •	Inability to play drone, GoPro videos on iPhone and iPad due to video format and parameter incompatibility. •	Inability to play music on iPhone because of incompatible formats. •	Inability to play/edit iPhone HEVC videos with old version QuickTime, Photos, Final Cut Pro, iMovie, Windows Media Player, Adobe, etc. NOTE: HEVC (H.265) is the new Apple video codec. Though iPhone 7/Plus or later can capture videos in HEVC, these videos are unable to be played back on old version computers and some video editors and players. 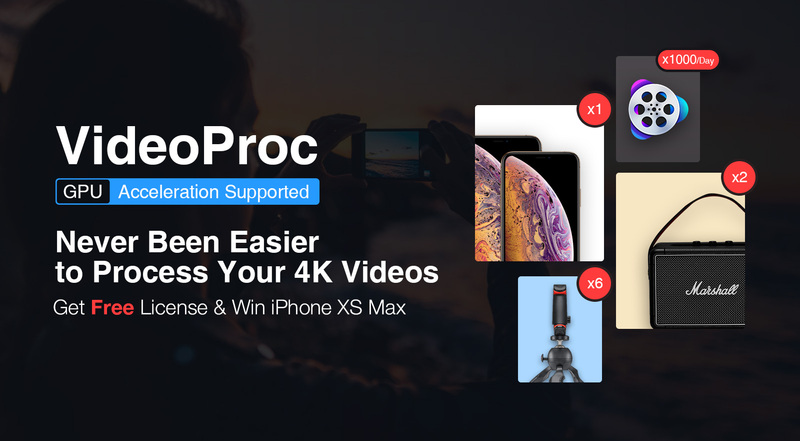 There are various video converters available in the market but VideoProc is the best iPhone video converter that assists to solve the iPhone video problems. Earlier, the videos recorded with iPhone could only be shared among the iPhone users. Many a time, it’s required to share the iPhone videos with different OS such as Android. It was this inconvenience which led to a solution that fosters cross-platform compatibility. The 4K 60fps/30fps/24fps and 240fps slo-mo full HD on iPhone X/8 videos recording have made playing iPhones videos on other devices such as Mac, PC, HDTVs, etc. even more challenging. For example, iPhone recorded 4K footages may fail to be added to the desktop. Or even if these are transferred successfully, the playback might be distorted and lagging in picture. But with the advent of VideoProc, all these problems work out fine.